Urine microscopy with examination of the urine sediment examination provides useful diagnostic information about the histology of the kidneys. While most nephrologists use urine microscopy to assess for the presence of glomerular diseases, they are less apt to use this diagnostic test when pre-renal acute kidney injury (AKI) or acute tubular necrosis (ATN) is clinically suspected. More often, tests such as fractional excretion of sodium (FeNa) and fractional excretion of urea (FeUrea) are used to differentiate these two causes of acute kidney injury. A systematic search of Medline and the Cochrane Database, with no language restrictions, for studies in humans on urine microscopy with sediment examination for the differential diagnosis or risk stratification of acute kidney injury published between January 1960 and February 2009 was undertaken. 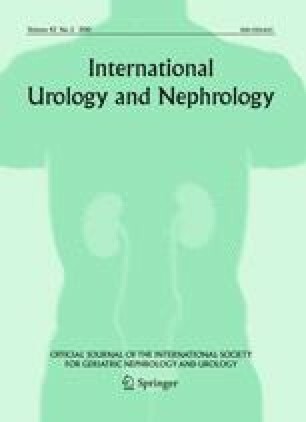 Based on the limited available data on urine microscopy reviewed in this paper, this test has merit in hospitalized patients with acute kidney injury to differentiate between pre-renal acute kidney injury and acute tubular necrosis. The presence and number of renal tubular epithelial cells and renal tubular epithelial cell casts and/or granular casts in the urine sediment appear beneficial in the diagnosis of ATN and may be useful in predicting more severe kidney damage that is reflected by non-recovery of AKI and need for dialysis. Urine microscopy and urine sediment examination is widely available, easy to perform, and inexpensive. The clinical utility of urine microscopy in the differential diagnosis and prediction of outcome in AKI may be increased by using a simple urinary scoring system based on the number of renal tubular epithelial cells and renal tubular epithelial cell/granular casts.